Introduced in 1878 from France, this rose offers a generous display. Varying widely in color at different times w/ a lovely tea fragrance. 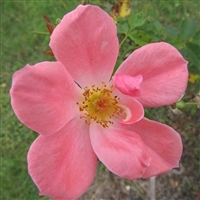 An 1891 French introduction, this rose can grow quite large yet takes to pruning to allow the use in a number of situations. Prolific bloomer.